A real number is a number that can be found on the number line. These are the numbers that we normally use and apply in real-world applications. There are many types of real numbers. 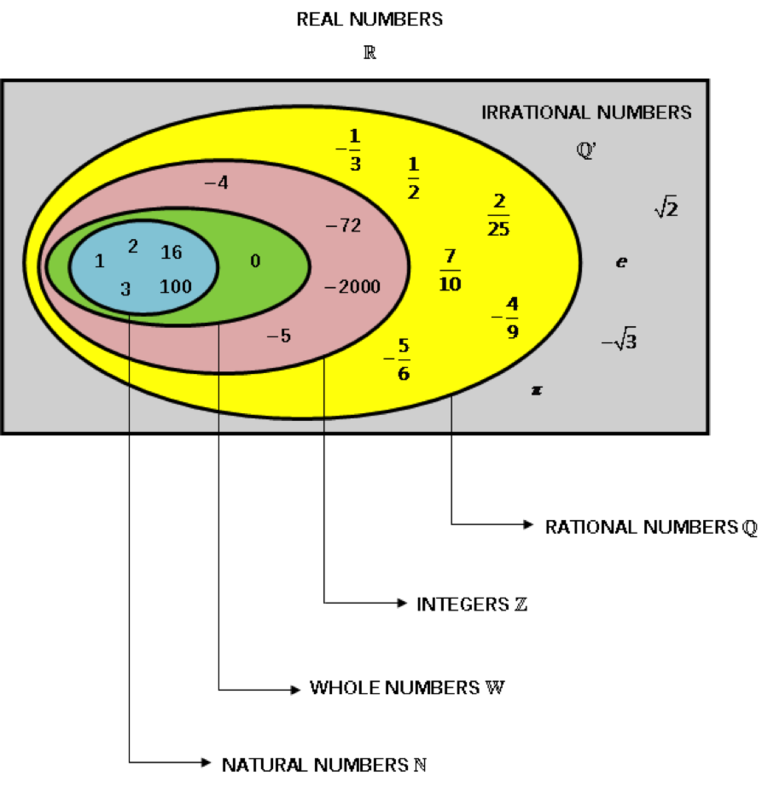 Below is a diagram of the real number system. 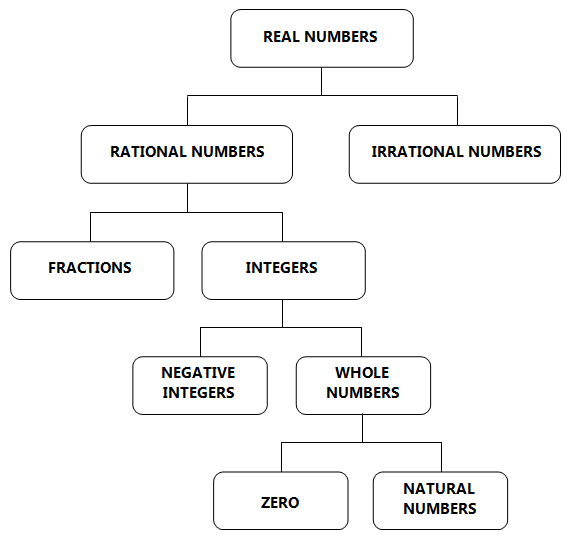 Real numbers are mainly classified into rational and irrational numbers. Rational numbers include all integers and fractions. All negative integers and whole numbers make up the set of integers. Whole numbers comprise of all natural numbers and zero.